Now, if you ever want to tell someone to "go to Hell," you finally know where to send them. 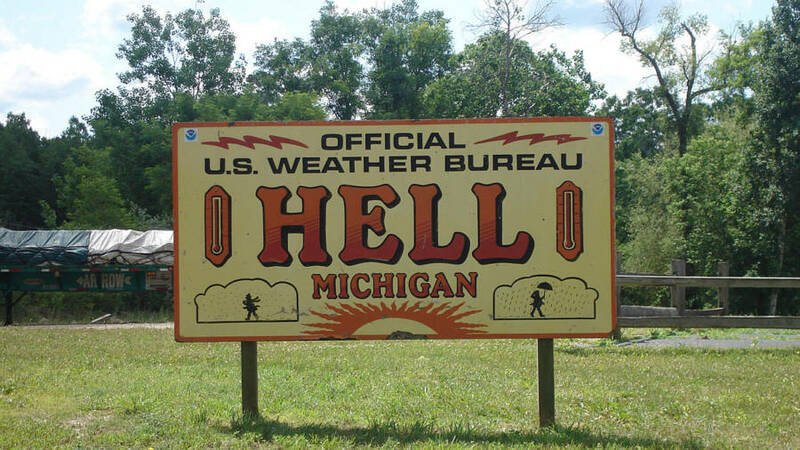 Wikimedia Commons A sign welcoming you to Hell, Michigan. The lows in Hell got down to -17 degrees at one point, and there was snow everywhere. Local farmers had fresh eggs from chickens that froze and cracked very quickly. Ironically, scenes like this happen every year since this part of the world gets quite chilly during winter months in the northern United States. Locals actually love the name because it brings in tourist dollars. The >origins of the Hell, Mich., go all the way back to the 1830s. The name comes from a few possibilities, the most likely being a comment that German immigrants said this place was “so schön hell,” or “so beautifully bright.” Locals overheard the comment and the name became a reality. Today, Hell is an unincorporated town about 20 miles northwest of Ann Arbor. 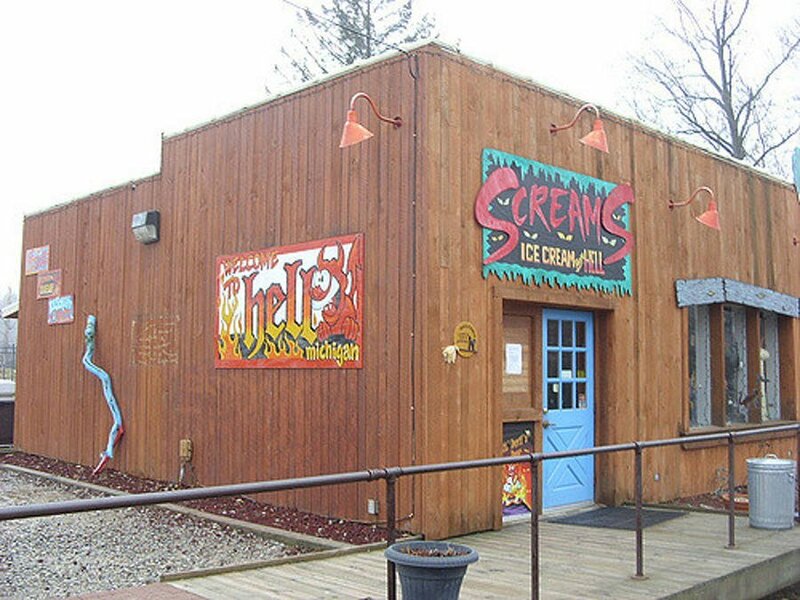 The surrounding lakes offer plenty of outdoor recreational opportunities, but there are about five acres of property that let you experience life in Hell. 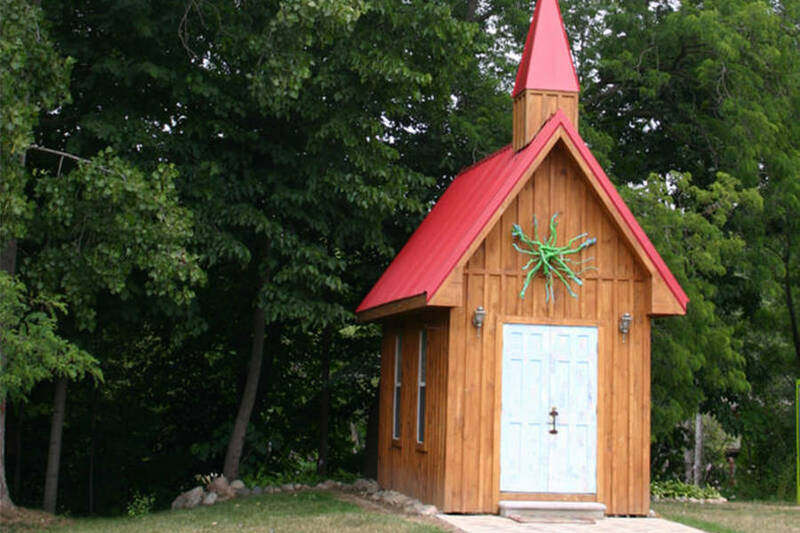 There’s even a small wedding chapel that pronounces you can get married in Hell. You can pay a $100 fee to become mayor for a day. At the end of your rule, you are summarily impeached. 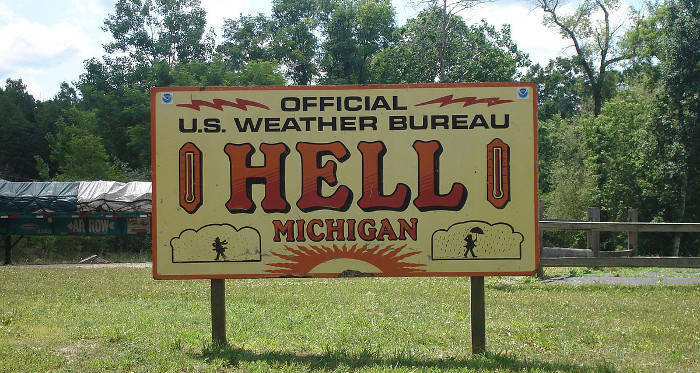 After all, that’s just everyday life in Hell, Michigan. If you need seasonal employment, there’s a four-page application that starts your tenure as a worker in Hell. Attend Damnation University, or Damn U for short, and earn one of over 100 different types of degrees. Take a bus tour through Hell or take part in the annual hearse parade. Receive an official blessing for your bike (especially if you ride like a Hell’s Angel) at the annual bike blessing. Send a postcard to your friends and family from Hell, or purchase a square inch of Hell for $6.66. Flickr.com/Danielle Walquist Lynch The wedding chapel in Hell, Michigan, where you can start your new life together. Clearly, locals embrace their town’s unique moniker. People obviously have a helluva time here, whether they are taking hellish selfies, ruling with an iron fist and pitchfork for a day, or getting in touch with their hellish behavior if only for a little while. Alas, life in Hell, Michigan isn’t all fun and games. Colone, the unofficial mayor, is ready to sell his nightmarish properties. On Feb. 13, 2015 (Friday the 13th, of course), Colone put the entire town up for sale. His initial asking price for five acres was $1.3 million. Then, he dropped the price to $999,666. (Get it? 666.) After a year of no offers, the mayor settled on $900,000. Perhaps he should reconsider selling the place. In 2017, an assisted-living facility opened near the town. A $26 billion camp for terminally ill children, called North Star Reach, began operations in the summer of 2017. That camp is just two miles from Hell. Flickr.com/Doug Kerr You can own this piece of Hell for $900,000. One thing is for certain: Colone’s marketing efforts pay off. Jeff Thieme and his wife drove 140 miles from Indiana to take in the sites. One day, he simply asked his wife, “Hey, you want to to go to Hell?” Thieme loved the souvenirs as he and his wife bought a coffee mug and a set of salt and pepper shakers. “It’s unique. It’s kind of neat. They really capitalize on the name,” Thieme said. You can make money in Hell, too, for a cool (or hot?) $900,000. Next, check out the Ohio town that’s named after the Hitler family – but not that one. Then, read about Turkmenistan’s “door to hell” crater. China Has Been Forcing Muslims To Drink Alcohol And Eat Pork In "Reeducation Camps"